Employers can help IT graduates into jobs by working with tech schools. Many New Zealand employers want to give jobs to tech sector graduates, but a shortage of skilled workers means they don't have enough experienced staff or resources to mentor new workers. Graduates miss out on jobs, while employers must recruit from overseas to fill positions in the booming tech sector. To bridge the gap, education providers are designing courses or work experience opportunities to give students the skills needed to be work ready by the time they finish. 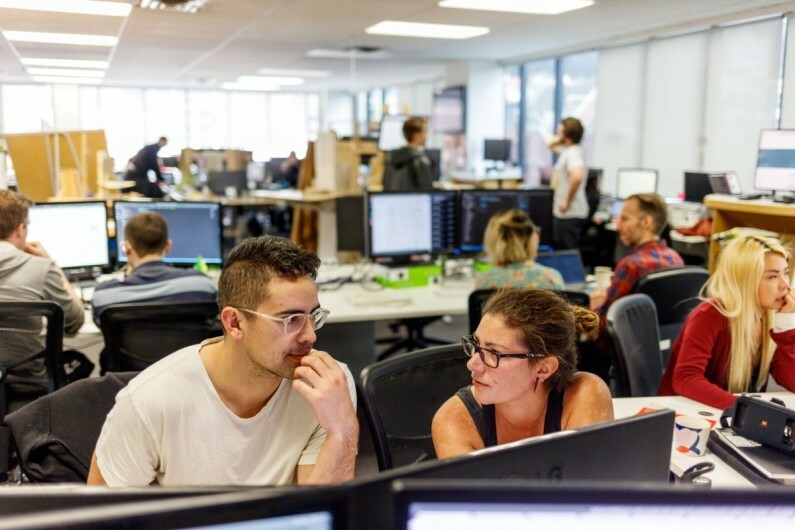 Employers who host interns from courses such as those offered by New Zealand's three ICT Graduate Schools, Industry Connect or the Summer of Tech programme play an important role. Mission Ready HQ, a school that has just launched in Auckland, also has employers and industry take part in training by offering students real world coding experience with real clients. Another way employers help is by working with course providers to make sure the skills they want are the skills students are learning. For Dev Academy, which has been running web developer boot camps in Wellington and Auckland for five years, industry feedback from both small and large businesses has been key to the development of its programme. Dev Academy co-founder Rohan Wakefield says when the school first started they asked employers in the tech industry what made a good developer a great developer. "Industry said, 'This is who you should be looking for, how you should be training, what you should be emphasising.' We constantly go back to industry asking that question," Rohan says. After self-studying for five weeks, students at Dev Academy spend nine weeks in intensive training, building coding skills by working on hundreds of industry scenarios. The work helps them develop coding "muscle-memory" but learning technical skills is not the only focus of the course, Rohan says. "Students are learning how to be software developers – there's a technical component – but, actually, industry is investing more in soft skills." "It's strength and self-awareness, and it's strength and identity, and with those skills comes the ability to observe and then collaborate with others." These are the skills employers are looking for, Rohan says, and it has shaped the way the course is run. The most constant feedback they get from the tech industry is that they want people who know how to learn, but they don't care what they've learned because tech changes so much. "What matters is the fact that people can learn." If you're an employer keen to help IT graduates or those looking for a new career in the tech sector, why not contact tertiary providers in your area to find out if there are any ways you can contribute? Sign up to our e-newsletter for guidance on career practice and research on the latest career topics.